Every day is a new opportunity for you as an individual to take small steps and actions, contributing to a more sustainable food system. Sow a seed and follow its growth from seedling to plant, make a compost and nourish it, look in your fridge or cupboards before shopping for a meal, eat low in the food chain, as local as possible and according to season. Food Studio is a collective of people and an ideal organisation working for «food empathy» – an essential understanding of what food is and where it comes from. On a daily basis, the collective works on different arenas all around the world, building stronger connections to food. Do you want to engage in and support Food Studio, helping us build food empathy around the world? Follow our page on Facebook and Instagram to get updates on what we are up to. Our newsletter will give you more in depth articles, stories and inspiration. You can also sign up here to subscribe to our magazine Hauste, to become a tribe member or volunteer. We are also contantly looking for freelancers who want to become a part of our projects. Click on the link below to see if we have any spesific needs at the moment or contact us and tell us how you would like to contribute. We look forward to meeting you! Get Away team: Join an existing team in Oslo, Trondheim or Antwerpen. Or create your own Get Away team in your own city. Hauste editorial team: We are always looking for passionate individuals who care about sustainability. You can contribute with photography, writing and illustration. Our team works from all corners of the world. Gardening projects: Do you want to get your hands dirty and learn more about growing? Join us at Losæter, Hegli farm and Schous library in Oslo. 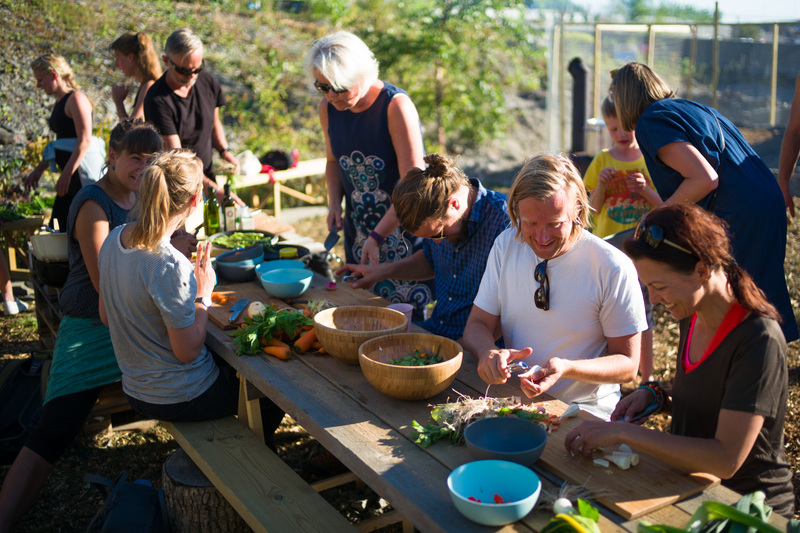 As a volunteer you will get hands-on experience on how we work on projects and the opportunity to host your own Food Studio event in the future. Contact us on post@foodstudio.no if you have any questions. We currently only have capacity to respond to emails once a week, so bare with us, we promise we will respond as soon as we can. Subscription includes Hauste magazine - one edition per year. Shipping cost will be added if you don´t want to pop by our office and pick up.